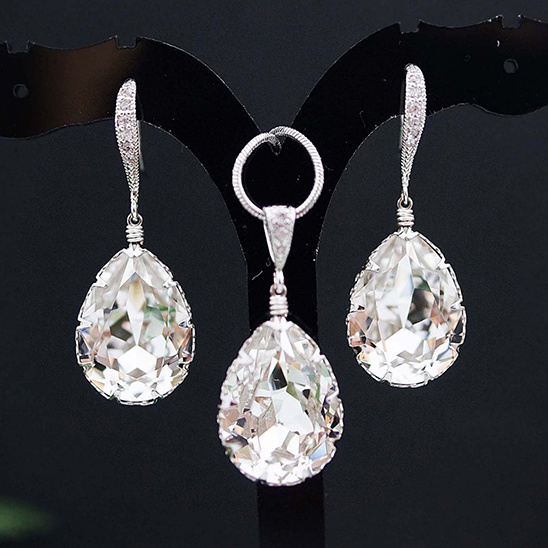 Earrings Nation is known for a collection of gorgeous bridal, bridesmaid, and everyday jewelry. If you're a bride looking for something unique and one of a kind, Earrings Nation's jewelry collection is just the site to see, as they have many original and exclusive pieces. In addition, for bridesmaids' jewelry, there are an abundance color choices to select from. Each bridesmaid jewelry item will also come with a gift box tied nicely with a ribbon and a thank you card to your bridesmaid, all ready to be given as a gift! How convenient?! View all of their jewelry here and don't forget to take a peek at their Wedding Chicks vendor page. Join us again tomorrow for another Wedding Chicks vendor happy hour. To get information on becoming part of The Wedding Chicks, and join all the fun, email us by clicking here.